When playwright Milta Ortiz was growing up in California, she was very familiar with the widespread Latino culture and population, largely with its roots in Mexico. But, as a child in the 1980s, she remembers feeling that, with her El Salvadoran heritage, "she was non-existent in American history. I felt like an outsider." So she was surprised—and very intrigued—when she first heard about the Sanctuary Movement of the 1980s, and its pivotal origination and roots at Southside Presbyterian Church here in Tucson. Ortiz wrote the award winning Más, which is about the highly controversial attempt to ban ethnic studies at Tucson High School. It premiered in the first season she and husband Marc David Pinate were designated as the new leaders of Borderlands. Ortiz consulted with Lupe Castillo for that project, and Castillo asked her if she was aware of the Sanctuary Movement in the 1980s. "I said, 'Whaaat?' I did not even know it had happened. I was actually taken aback. But we were focused on Más, so we didn't really discuss it much. But I think it planted a little seed." What she came to learn, and what many of us here in Tucson remember quite well, was that due to the widespread political repression and violence in civil wars in Central America, particularly in El Salvador, Guatemala and Nicaragua, millions of their citizens fled to the U.S. seeking refuge. This was a time of massacres of entire villages, and of those who came to be known as "the disappeared," who simply vanished and were assumed dead and buried in mass graves. In El Salvador alone, by 1980 the military had killed over 10,000 people, including Archbishop Oscar Romero and four U.S. churchwomen. The Reagan administration did not recognize those fleeing as political refugees, refusing to recognize them as asylum seekers. They were "economic migrants." But these were desperate folks seeking political asylum. In recognition of what was going on, Jim Corbett, Jim Dudley, Rev. began offering assistance to the refugees. By 1982, Fife, the pastor of the Southside Presbyterian Church, with the consent of its congregants, declared the church a public sanctuary. The idea caught on and eventually 500 sites across the U.S. were part of the network of what became known as the Sanctuary Movement. In the spring of 2016, Ortiz began to create a theatrical story about what she was discovering. "It was so strange," she says. "I went to the library, searching in microfiche for a story about these 'undocumented' asylum seekers in the 1980s. There was nothing. Then I searched for 'illegal.' Still nothing. Finally I realized that what those people were referred to at that time was 'aliens.' I searched again, and there was all kinds of stuff when I did that." The particular incident that captured her imagination involved a group of 26 El Salvadorans who crossed into Organ Pipe National Monument on the weekend of July 4, 1980. They were abandoned by their coyote, or smuggler, without food or water. Temperatures reached 110 degrees or more on the desert floor. Thirteen of the 26 died. The images contained in the accounts of the incident in newspapers at the time "haunted" Ortiz. "Most had removed all their clothing. Women had been wearing make-up and high heels. They had no idea what they were stepping into." In August of 2017, Ortiz was awarded a month-long residency at the Djerassi Writers retreat, and it was there that she was able to complete a first draft. She claims that a previous draft was "just OK. I was surprised it was a finalist in the Bay Area Playwrights Festival. I think I had the framework, but it just wasn't alive yet." She was able to find that life in the highly focused atmosphere at the retreat. "There were no distractions, and that makes such a difference." 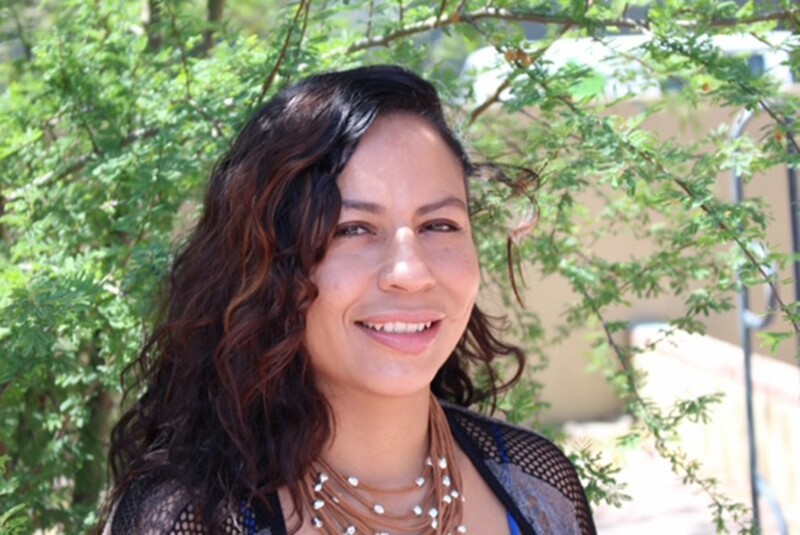 Ortiz says that one of the great assets she had writing her play was that she was able to interview many of the originators of the movement in Tucson. "Along with Rev. Fife, I was able to speak with Margo Cowan and Lupe Castillo, who went to detention centers and interviewed detainees and offered legal help." Ortiz says that her characters are inspired by many of those who worked in the movement, but they are fictionalized. She says the play features seven actors, and there will also be two roles filled by community members on a rotating basis. One of the most exciting aspects of the project, according to Ortiz, is that it will be performed here at Southside Presbyterian Church. The small church will become a theater with multiple stages and with professional lighting and sound equipment. Pinate directs the piece. Of course, little did she know when she began writing that the current administration would crack down even harder on those seeking asylum, leading to children being separated from parents, which has created a continued need for assisting those requesting asylum. Understanding that there are concerns in writing such a piece, Ortiz has tried to avoid making the play preachy or propaganda. She wanted create a tale about "the strength of allies," while avoiding "a white savior" story. "I hope it inspires and invigorates and empowers folks to understand that they have agency in their circumstances." In conjunction with some performances, there will be four panel discussions involving those with knowledge of immigration policy and others who had firsthand experience of the movement.